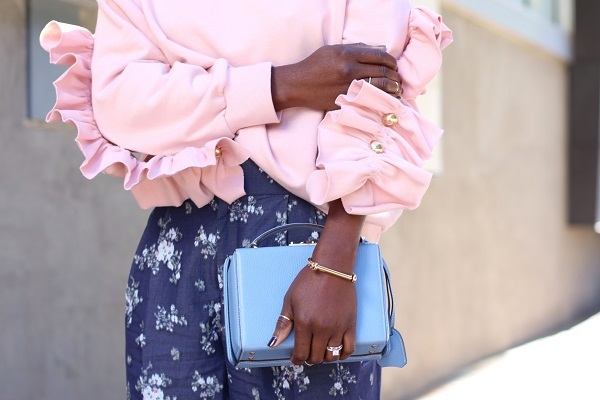 Sweatshirts aren’t just for lazy days, especially when they have ruffle sleeves. 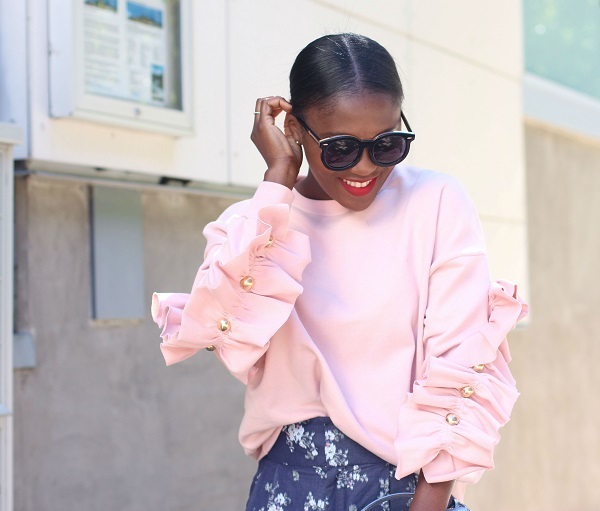 This sweat shirt is so playful and pretty. 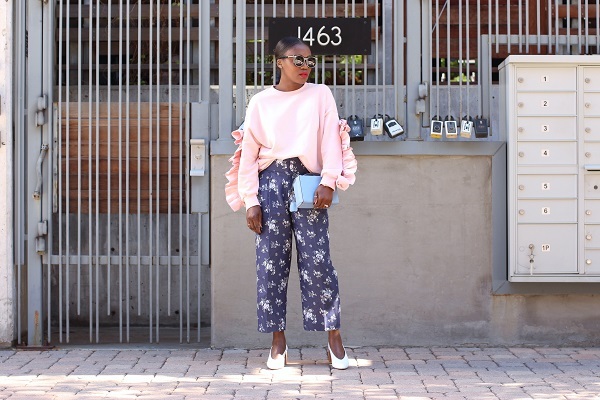 Paired it with these blue printed pants well because, why not? 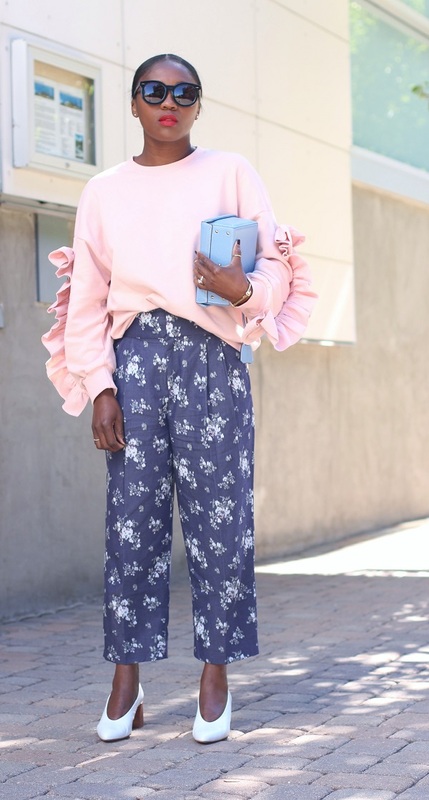 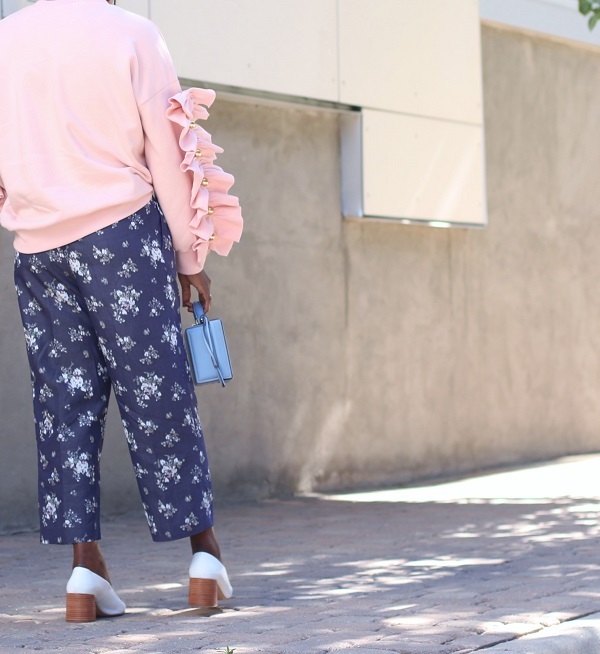 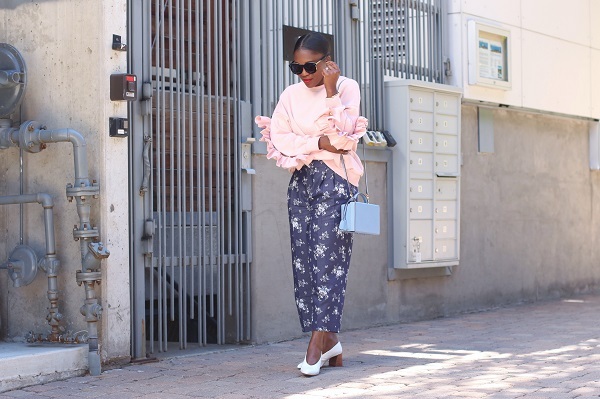 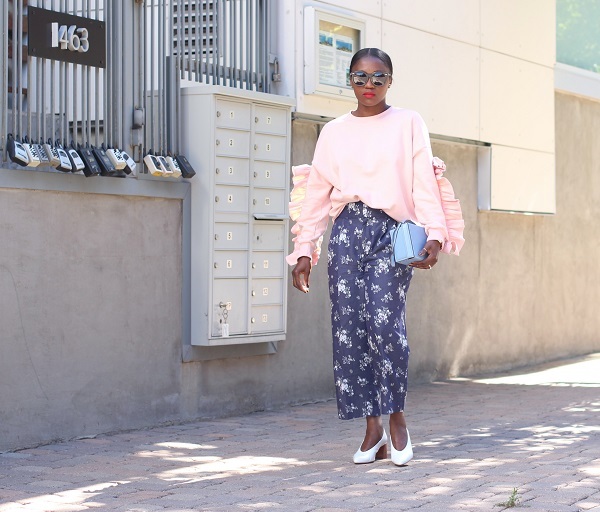 The floral details on the pant and the ruffles on the top work harmoniously together, yes to prints during the fall season, all does not have to be so dark and monochrome (which i love so much mind you).